"Tru-Flite rubber duration kits - Britain's Best Value!!" c. 1962. 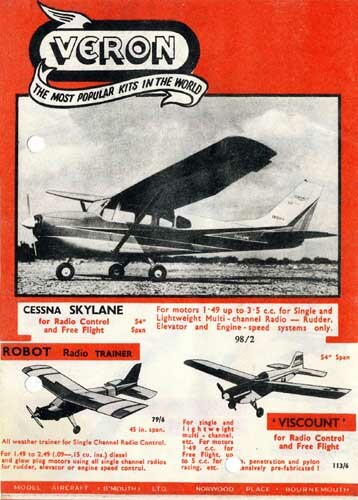 Includes listings for airplanes (power duration models; Tru-flite rubber duration kits; gliders; control-line; Kwik-Fix kits) and model boats. Illustrated with black & white photos and line drawings.